Tai O is one of Hong Kong’s few remaining villages with a valuable historical culture and unique identity. This is clearly apparent in its built environment which weathered the radical transformations Hong Kong has undergone over the past decades. Today, with traditional industries such as fishing and the salt-production no longer being sustainable, the village faces the challenge of qualitative transformation for Cultural Tourism. 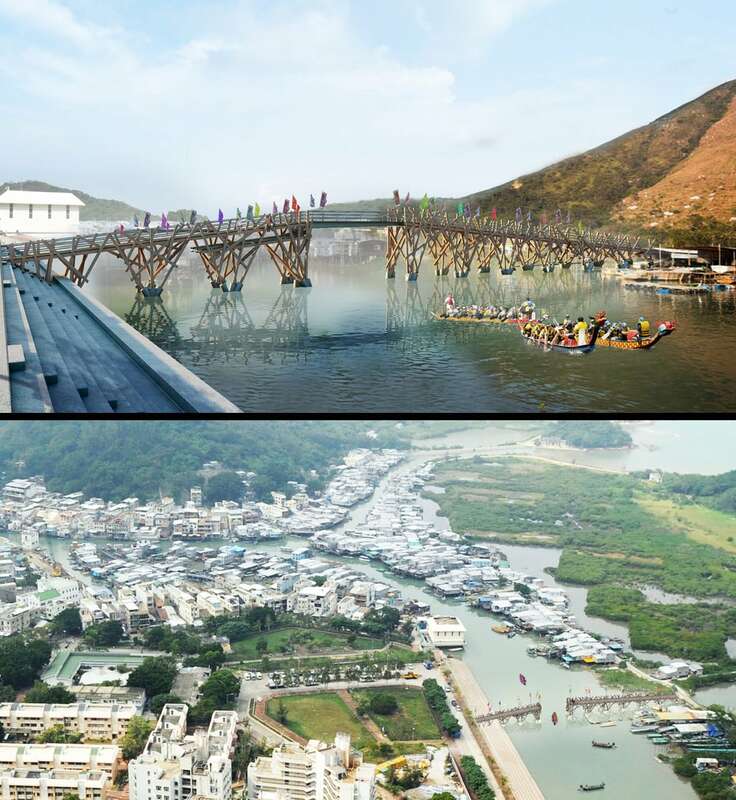 This change of program, however, risks destroying the very essence of Tai O’s unique identity: the urban fabric needs to adopt to absorb the hordes of tourists. 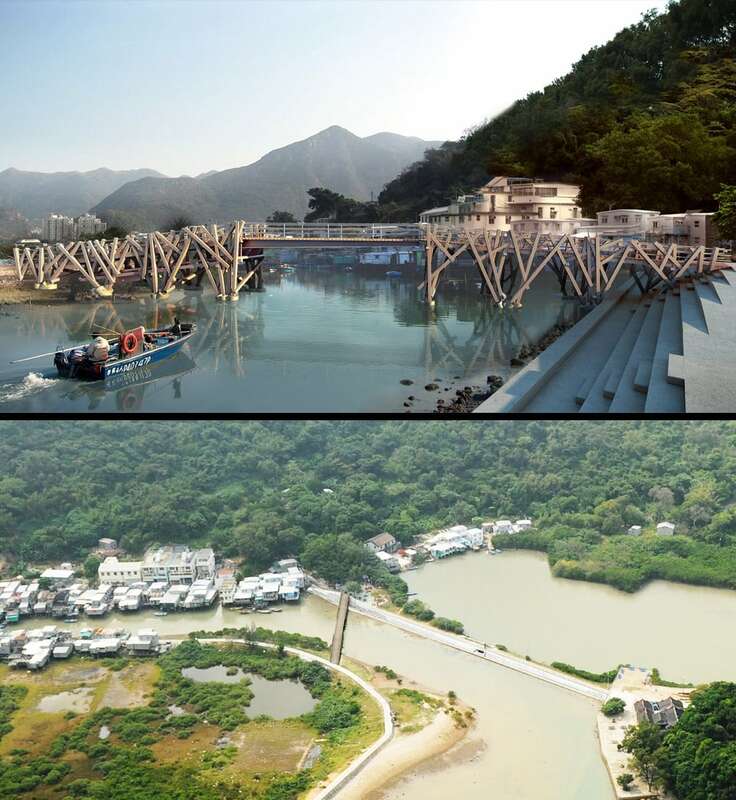 A design competition was organised to complement the village’s infrastructure with two operable new bridges. 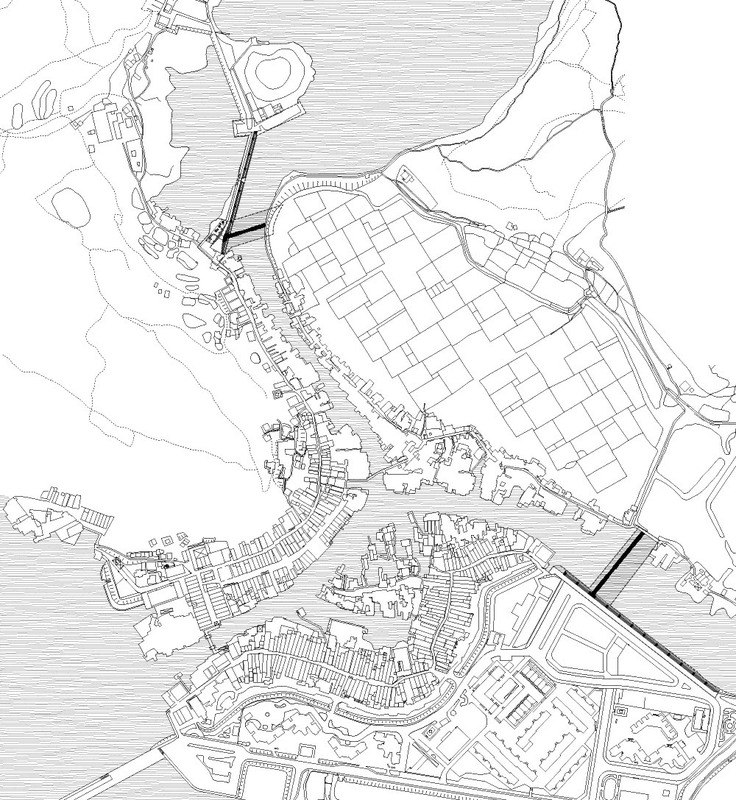 LEAD’s design proposal for the Tai O Twin Bridges taps into the village’s unique construction system for its stilt houses (Pang Uk) and combines this with digital design technology to achieve a structurally sound and innovative outcome that harmoniously blends in with the existing village. Stilt houses are built from a redundant structure of wooden beams and columns, all intuitively interconnected to provide a solid base-surface for the residences. This redundancy guarantees stability in case of damage by typhoons and allows for easy replacement. We developed this traditional structural principle further by combining it with topological optimization: in a virtual environment loads are applied on an abstract volume symbolising the bridge. Areas are then identified where material is most needed to provide the required strength of the overall system. 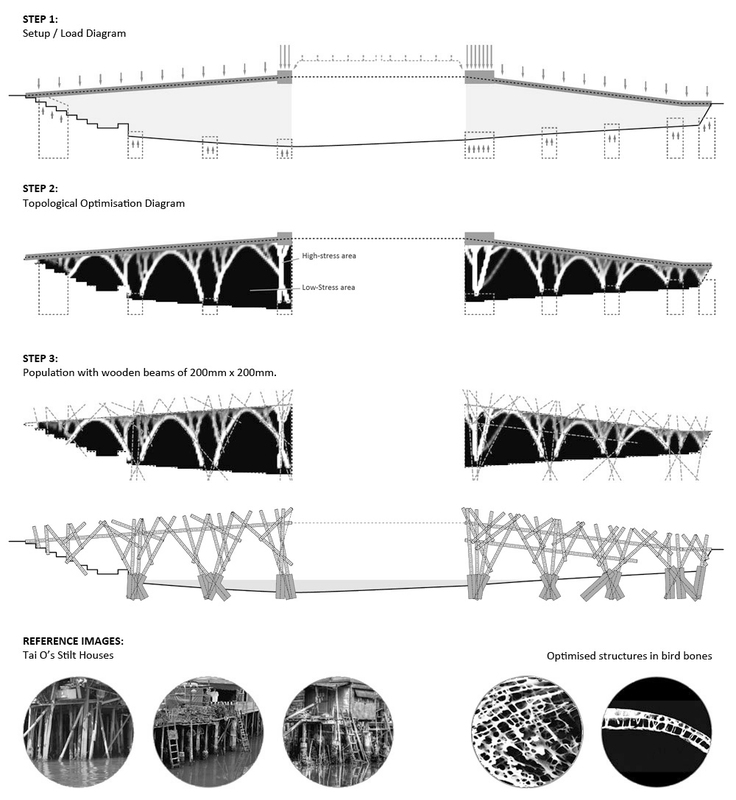 The diagrammatic outcome from this process is then used as an under-layer for the location of traditional wooden beams. These are then interconnected according to Tai O’s centuries-old construction techniques and details.